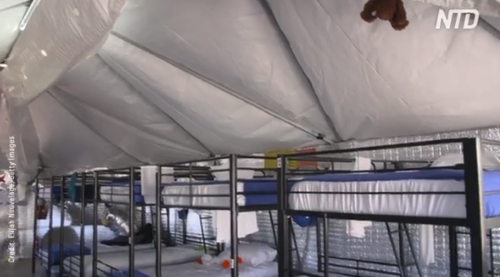 The official in charge of Tornillo's facility told NBC on Friday, "there is no question whatsoever," that the rise in migrant children being detained by the CBP is due to the "extra precautions" the Trump admin is now preparing to match children with family members, including their biological parents, if possible. The official said that as of Oct. 12th, 826 out of the 1,500 children in Tornillo were awaiting background checks before they could be transferred to family members or homes within the US. Children at Tornillo stay an average of 59 days, up from roughly 30 days under the Obama administration, according to HHS. Federal officials have been strict with journalists on tours of the facility; there are no cameras, recorders, and or cell phones allowed inside. The official notes that children have access to legal services, medical care, outside activities, cable television, and religious services. 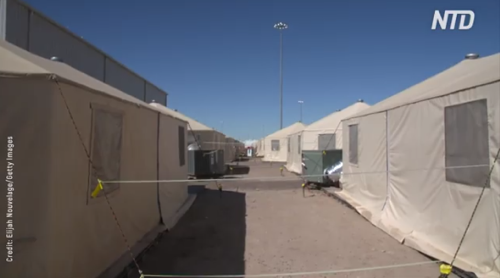 NBC KTSM spoke with a 16-year-old female from within the facility on a recent tour; she said she spent several months in a shelter in Miami and has been in Tornillo for about a month. She is praying that she will be released to family members in Texas. The girl said her parents live in Guatemala, and she made the decision to travel to America for a better life and education. NBC KTSM said there was sadness in her eyes when asked if she would return to her native country. ACLU lawyers have argued against separating families at the Mexico-US border and sending migrant children into government-run camps. Child welfare groups warn that the facility is not open to state inspection because it resides on federal land. 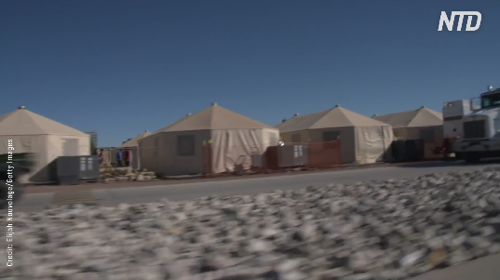 The Tornillo official said the facility exceeds state standards when it comes to ratios for childcare, medical and mental health workers. 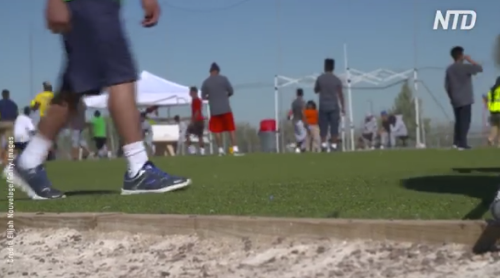 Trump's migrant camp for kids is expanding in size but seems to be absent from news flow, until now. With the US midterm elections drawing closer, and thousands of migrants 'caravanning' across Mexico on route for the US border, the mainstream media could turn the Tornillo tent city into the next news cycle's "crisis" as bomb-the-Democrats-gate fades from the headlines.